It is a hard thing to take, with your wife in torment, all day, all night, she is so physically ill, so hypersensitive that her life is a horror, moment by tortuous moment and you hear that a highly influential figure, from a national charity has just issued a media statement to the effect that it is not clear whether my wife and tens of thousands other’s illness is real or psychological. It is not easy to study the transcript of that interview, sick with rage. It’s not easy to stomach such deception, after more than two decades of battle, as a solitary carer up against the full might of corporate wealth, power and influence, a battle that never relents. It is a hard thing to stomach when the Bishops of England issue a guide to the upcoming UK election and do not mention the sick or disabled once. It’s not easy to acknowledge that a website, I have spent days rebuilding by hand- and announced to the world is boring, without spark or vim. The joy, the relief coding gives me, through difficult days, has been the focus : but I have been playing it safe, not taking a risk. It’s a hard thing to wonder if you are losing it. It;s a hard thing to begin a new day facing what might lie ahead : persecution, laceration- a being cut to the bone , pure, naked distress. 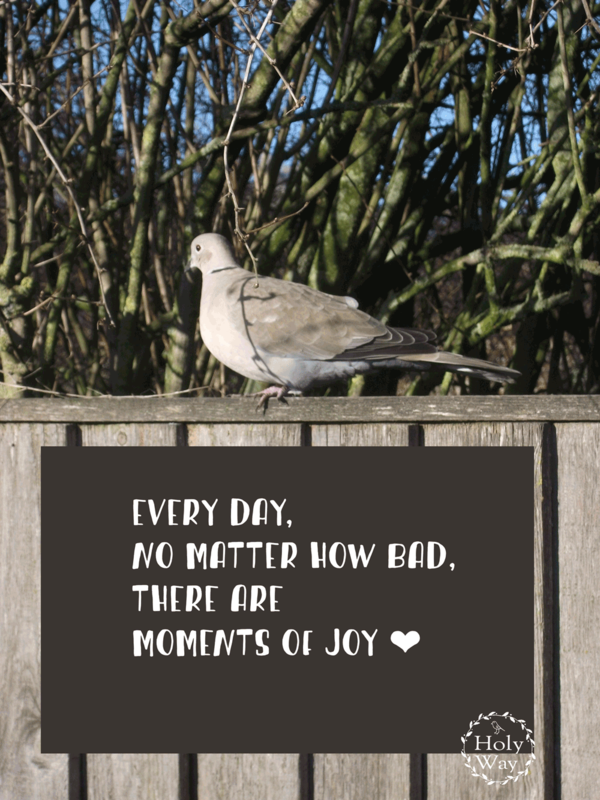 Even so, in every day, no matter how bad, there are moments of joy, connection that far outnumber the tears, the despair. I opened the back-door just now and a blackbird was patiently waiting for a raisin : we feed them and the doves through the winter. It might just be the rain on the window, light through the clouds, the paradox of intense suffering, I find, as a carer at least, is that there are even more intense moments of wonder, that sustain me, bring an inner stillness and calmness. Would I say that if I suffered like my wife ? I have only to look in her eyes, see the love there undefeated,sparkling, triumphant, to know.